I am concerned that the best time-frame your “Early Resolution Team” can deliver is three months, more so when ANZ is already trying to forcibly sell my home now. – ANZ’s quite deliberate deception and obstruction, including the blatant fabrication of evidence. – ANZ’s acceptance of guarantees as forms of security enabling its obligation of disclosure under the Code of Banking Practice. – ANZ’s reckless lending and failure to ensure, under the Code, that the – borrower was reasonably able to repay the loaned amounts. – ANZ’s statements that it did have an obligation of disclosure, especially where additional lending might cause the guarantor to reconsider giving the guarantee or where that lending was outside the purpose for which the guarantee was originally given. Even when directed by the chair of the Banking Ombudsman Scheme to review this case, your office deliberately restricted that review to the process and not the issues raised. You have attempted to deflect inquiries to government agencies like the Privacy Commission, Commerce Commission, etc but in each case, these government agencies have referred the matters raised back to you. Unfortunately for the banking public of New Zealand, your office remains the primary watchdog against predatory bank practices. 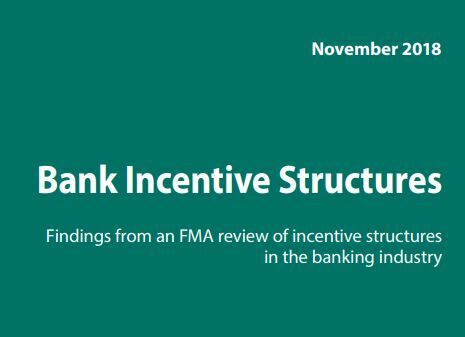 It beggars belief that even after the two reports released by the FMA and Reserve Bank on banking culture and conduct (Bank Incentive Structures, Bank Conduct and Culture, that your office remains on protecting offending banks from the consequences of their poor conduct. It is the failure of the Banking Ombudsman Scheme that has allowed banks in New Zealand to take advantage of the vulnerable and disadvantaged. Pretty much what we expected. ANZ is terrified of media coverage exposing its reckless lending and the deceptions it employed to cover it up. In a desperate attempt to shield the forced sale of my home from such attention, it cancelled the well-subscribed auction on 8 November in favour of a less favourable tender process. Many buyers who will happily bid at an auction will not submit a tender proposal because they see it – rightly – as carrying more risk than an auction. So, here we are ANZ, Plan B worked no better than Plan A. Your sole response won’t come anywhere close to the amount of money that you are demanding as a result of your unchecked and reckless lending processes, your total and blatant disregard for the obligations placed on you by the Code of Banking Practice. Maybe it’s finally time to do the right thing, to cut your losses and make good the damage you have done…? In other news, thank you to every one who called or messaged to give the Banking Ombudsman a nudge on Friday. I think that we can safely say that the message was received. While the Banking Ombudsman was too busy to make a simple call to ANZ to query its tender process under its fair, reasonable, ethical and consistent obligations in the Code, she did find the time to call me twice, and then my lawyer to complain about it. Unfortunately this is a bed entirely of her own making. If you are going to be a watch dog, you need to be able to bark, not whimper and wag your tail. An agent of the Office of the Banking Ombudsman should enter a bank to the tune of the Imperial March not Here Comes the Sun. Where we provided a legal opinion that ANZ erred in not informed me of the additional lending, the Banking Ombudsman did not explore this further because ANZ disagreed. Where we requested a review of my case through the chair of the board of the Banking Ombudsman, the QC appointed to that review was specifically constrained to only consider the process followed and NOT the issues raised. Where we provided evidence of quite blatant obstruction and deception on the part of ANZ New Zealand, the Banking Ombudsman was silent. ANZ has an obligation under the Code to ensure that any body borrowing money from it is reasonably capable of repaying the loaned amount plus agreed interest. ANZ did not do that with this lending. The Banking Ombudsman would not comment.. The Banking Ombudsman attempted to deflect complaints to government agencies like the FMA, Privacy Commission, Commerce Commission etc. Each agency has responded that it considers the Office of the Banking Ombudsman to be the most appropriate agency for investigation and resolution of these and similar issues. While I tend to agree with the Banking Ombudsman’s logic on this, the Government, at this time, does not. Throughout ANZ New Zealand has relied on the Banking Ombudsman as the linch-pin of its defence. It really needs a better linch-pin. The Banking Ombudsman (Nicola Sladden nicola.sladden@bankomb.org.nz) and the Chair of the Banking Ombudsman board (Miriam Dean miriam.dean@barrists.co.nz) have consistently avoided the issues at the core of this dispute. the repayment terms, including any terms relating to early repayment costs. If banks take the Code of Banking Practice seriously – and it’s the Banking Ombudsman’s job to make sure that they do – why didn’t ANZ tell me about all the extra lending to my ex-wife’s company? ANZ New Zealand said that it had no authority to disclose information to me – when it did have that authority and a previous determination by the Privacy Commissioner also said that it should disclose this information. ANZ New Zealand said that the Credit Contracts and Consumer Finance Act 2003 prevented disclosure to me. The truth is that this Act, by definition, only covers personal lending and does not even mention company lending. ANZ New Zealand made up information that it attributed to the Code of Banking Practice to support its position that it did not have to disclose details of additional lending to guarantors. The Code says that ANZ New Zealand can only provide credit or increase credit limits when the information available to it leads it to believe the customer will be able to meet the terms of the credit facility (that means, repay the loan). The Banking Ombudsman has held banks accountable under this obligation in its case notes. Why didn’t the Banking Ombudsman consider this obligation when ANZ loaned hundreds of thousands of dollars to a small company with a weekly income of less than $200 (that’s what ANZ New Zealand CEO Dave earns in about 8 1/2 minutes)? The Code requires banks to act fairly and reasonably, in a consistent and ethical way.